8th grade students, please attend the open house scheduled at your future high school on Thursday, March 1st (LPA, FPCHS, PSLHS, SLWCHS, TCHS) or Wednesday, March 7th (FPWHS) at 6 PM. 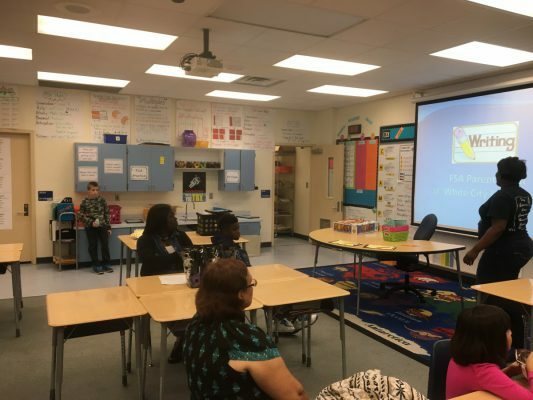 The students and parents of White City Elementary participated in FSA Parent Night. 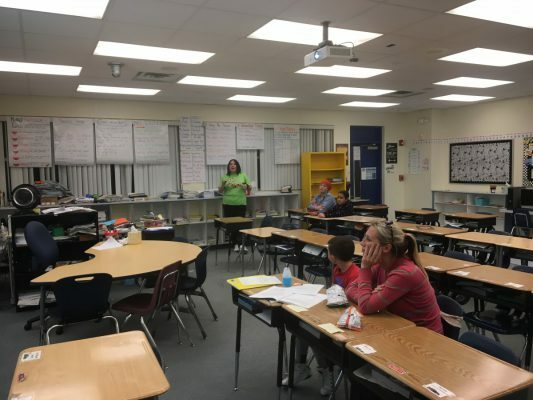 Grades 3-5 families worked cooperatively to learn about FSA questions, writing rubric, and how iReady and SLC Unit Assessments are used to monitor students’ progress. It was an informative parent event. Watch the 2018 St. Lucie Public Schools Science Fair, and Science Fair Awards on YouTube. Also, catch an all new episode of Que Pasa hosted by Linda Tapia and UF IFAS hosted by Ed Skvarch. While you’re there subscribe to our channel, then head over to Facebook and like/follow our page – WLX-TV. Greyhound History Buffs Win Big! On February 14, 2018, the JROTC Jaguar Battalion had our annual Service Learning event. At this event our cadets retired unserviceable flags from public buildings and military bases. We had U.S. veterans attend, along with our Jaguar band and Mr. Frazer’s class. The master of ceremony was C/ Major Syanna Graham.